Elis and Kresse are a designer duo who create innovative accessories from recycled fire hoses in Britain. They source this hoses from various fire brigades and after they have been retired and set to be disposed, and process it into an unique material that is used to create belts, bags and many more accessories. What’s more- these accessories which have been made from a robust and durable source are very easy to maintain, and can be cleaned with any Eco-friendly furniture polish. These accessories are not heavy, and are of the same weight as any other similar accessory made from leather etc. The duo have been instrumental in recycling almost 155 tons of fire hose waste. They also use recycled materials such as coffee sacks, lens boxes, used newspapers etc for packaging .The finishing materials is also made from recycled materials such as used office furniture, waste parachute silk etc. This makes the whole concept and their creations very Eco-friendly as the choose to recycle waste and constructively use in their design. You can check their website for their range of accessories such as bags, totes, belts, straps, wallets, iPhone and Blackberry cases, cufflinks( You can personalize them to) and may more. Their creations are also retailed across major stores in many countries. You can check their site to view their retailers at a place near you. You can also order from their website and have it shipped to your address. They also are committed to improving the society and have partnered with “Remploy”-which is a social firm offering employment to people with disabilities. 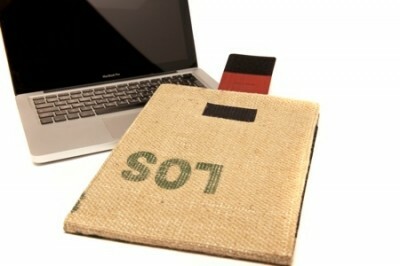 50 % of the profits from products made with recycled fire hose are donated that to Fire Fighters charity. Do check out this unique and impressive range at the below line.